So, what is happening in Pakistan? As usual, the nation is on a begging spree! But a lot has changed since the country achieved independence. 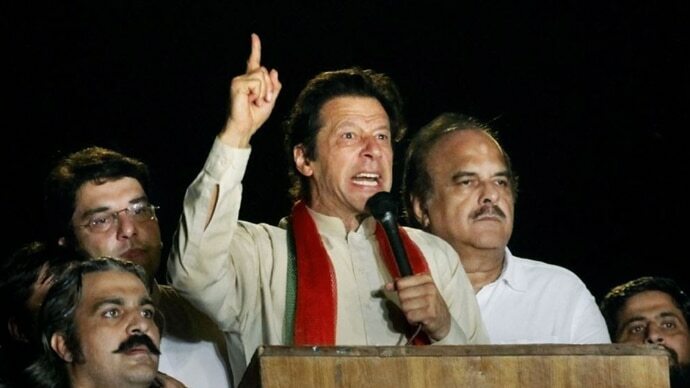 Before Imran Khan was sworn in as the prime minister of the state, it happened to be one of the responsibilities of the finance minister to represent the nation in bail-out negotiations with international lenders like IMF and “Dost Mumalik" (countries like China, Saudi Arabia, UAE and others, which Pakistan considers its friends in need); unfortunately, the “brand new” chief executive of the country, Imran Khan, has set a new precedent — now, the world will see Pakistan’s prime minister himself representing his state during such meetings. Imran Khan personally met the IMF’s MD Christine Lagarde on the sidelines of the World Government Summit and discussed the country’s financial situation with her. According to a political analyst (see the tweet below), because of Imran Khan’s anti-IMF stance — he has on many occasions commented against the Fund’s policies — it was the IMF’s demand to have a one-on-one meeting with Khan, to know his decisions and views in relation to the IMF’s bail-out package and its policies. By the way, it is clear after this meeting that Imran Khan for sure won’t commit suicide (as he said in the past) but will instead welcome any IMF help. He further added that Pakistan was now in a comfortable position after the availability of US$ 6 bn from friends against a US$ 12 bn financing gap and another US$ 3-4 bn could be arranged “from here and there”. Poor him! Surely he didn’t see this coming sp early — precisely after two months of him giving these amazing remarks, his PM is on his knees in front of the same institution. All the Fund wants is to help Pakistan prevent an ultimate economic collapse; unfortunately, the Khan administration is showing reluctance at implementing these reforms as these structural changes, which will provide a firm and stable base to the country’s economy, might affect the PTI’s vote bank in the short-term. Thus, at the cost of Pakistan’s long-term sustainable economic stability, Imran Khan and his party — as always — will enjoy short-term unsustainable political benefits. The IMF’s staff during November's negotiations in Islamabad was demanding adjustments in energy tariffs. And yes it is necessary to reduce trillions of rupees of circular debt. The Fund is asking the government to increase its tax collection targets so that it can make more revenue and stop incurring humungous budgetary deficits. For the same reason, it wants the government to reduce the provincial share of the resources, which currently is approximately 57.5% of the total annual budget. To maintain a productive, comprehensive and competitive business environment, and ensure proper tax collection, the Fund has asked the administration to change its current audit policies which encourage businesses to get involved in unsustainable and not-so-market-friendly business growth. What is wrong with all that? Nothing at all! The Central Bank’s full autonomy is necessary for timely and meaningful implementation of monetary policies for the financial and economic stability of microeconomic and macroeconomic factors. A free float exchange rate policy is extremely important when your exports are sharply declining, and the IMF is asking the state to implement this. Just for the sake of political point-scoring and promoting its vested interests, Imran Khan’s government is working against the economic interests of the country. If this is not the case, they should immediately start working towards fulfilling the IMF’s demands, at least, for the sake of Pakistan’s stability and prosperity. Reportedly, the size of the upcoming IMF’s bail-out package to Pakistan will depend on how Pakistan will pay its US$ 6 billion short-term debt before June 2019. Sadly, for Pakistan, it starts with debt and ends with debt — a macroeconomic disaster. The economy is inching close to an ultimate collapse. With a looming balance of payments crisis, plunging foreign exchange reserves, declining growth rate, skyrocketing inflation, ebbing investors’ confidence and soaring unemployment, no doubt, if the situation will last a little longer like this, Pakistan will face serious consequences. On the one hand, there is a huge burden of US$ 78.464 billion in public external debt and liabilities, which is 28.3% of GDP (as of December 2018, total external debt amounts to US$ 99.1 billion which is 35.8% of GDP), and on the other, imagine the frustration of having just $8.2 billion in foreign currency reserves when facing a current account deficit of US$ 7.983 billion (as of December 2018 –FY19) — the country is truly struggling to arrange dollars from “here and there” to prevent a brake failure. But there is a justification to all the worst data — Murphy’s Law, i.e., “If something can go wrong, it will”. Alas! Moody’s assigned “negative” outlook to Pakistani banks due to slow economic growth — reportedly, this will be 4.3% in the fiscal year 2019 as compared to 5.8% in the previous year —and the banks’ higher investment in low-rated sovereign securities’ papers of the government. Since January last year, the interest rate has risen by 4.5% to 10.25% — which is hampering economic growth. At the same time, the Pakistani rupee has depreciated by 30% (since December 2017) against the US dollar which has resulted in rising inflation. According to a report of the Pakistan Bureau of Statistics, the inflation rate has jumped to 7.19% in the month of January — which is a four-year high — while it was only 4.4% in January 2018. Foreign investment has reduced by 75% (US$ 3.096 billion) in the first seven months of FY19 — US$ 1.042 billion — as compared to the same period of FY18 — US$ 4.138 billion — according to the State Bank of Pakistan. Also, the trade deficit was recorded at US$ 19.26 billion during the first seven months of this financial year. Standard and Poor’s has also lowered Pakistan’s long-term credit rating to B-negative from B due to weaker economic settings and no substantial progress in treating fiscal imbalances after the general elections of 2018. The agency said that it cannot foresee rapid recovery in fiscal and external settings. “Our weaker growth projections (4% in 2019, 3.5% in 2020 & 2021, 3.3% by 2022) mainly reflect the diminishing stimulatory impact of the investments associated with the CPEC, negative fiscal impulse as the government looks to rein in its deficit, and declining economic sentiment. Growth will also be constrained by domestic security challenges and long-lasting hostility with neighboring India and Afghanistan,” S&P added. This is quite shocking — as the short-term growth stimulus from Chinese investment in the name of China Pakistan Economic Corridor (CPEC) infrastructure projects is fading away, the truth behind the guise of “win-win” is getting revealed. While the infrastructure projects to some degree will support growth in the long-term, the macroeconomic imbalances will counter these effects. It requires more than just investment from one or two countries — especially when their intentions are to eat the entire cake made up of the ingredients which you have purchased from their supermarket or to eat the cake made up of their ingredients at the cost of the stability of your kitchen. For economic stability, the administration must facilitate investors. Poor quality-unskilled labour is also one of the major causes of everlasting economic instability and slow growth. Quality of education has to be improved. Proper allocation of resources is necessary. Investment in the education sector must be prioritised. 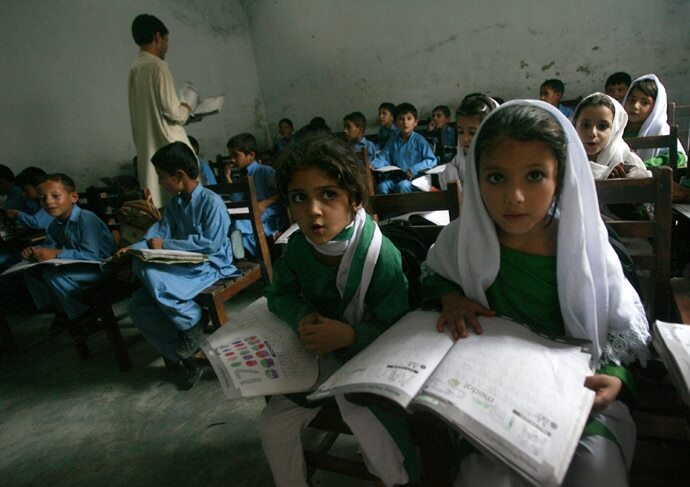 Quality of education (from primary to higher education) in Pakistan is nothing but the worst! Businesses suffer due to multiple taxes, high rates and bureaucratic corruption, which creates substantial barriers before one can enter the market. In the developed and developing world, checks and balances are there to improve quality of production and maintain business environment — in Pakistan, unfortunately, (due to bureaucratic corruption), these are mainly to victimise investors or to force them to indulge in bribery. For investors with relatively less capital to invest, it increases the cost of doing business — to the extent that it forces them to leave the market. There are enough countries with good quality labour, suitable security conditions, where laws are business-friendly and duly implemented by the authorities, other than Pakistan to start a business and therefore, Pakistan will have to improve its business environment, tackle corruption, improve quality of education and infrastructure, facilitate investors who want to invest in green energy projects, reduce barriers to entry (other than illicit practices, like high taxes), and invest in research and industrial development. In the 21st century, you just can’t rely on your raw agricultural produce to earn foreign exchange. With continuous technological advancements happening up and down the hyper-globalised world, it is impossible for a banana republic to succeed. A lot has to be done, like ensuring complete independence of the central bank, adopting market-based flexible exchange rate, taking strict measures to reduce circular debt, expanding the tax base and duly enforcing tax laws to increase revenue, implementing social policies to promote inclusive growth, reduce energy (electricity and gas) theft, adjusting power tariffs to reduce budget deficit, etc. The Saudi Crown Prince Muhammad Bin Salman, on his two-day visit to the (February 17 and 18) country, has blessed it with a US$ 20 billion dollars “advance”. It is not clear what Pakistan will give it in return but you can read my previous analysis here on what it will give in exchange for the monetary aid from the "brotherly nation”. So, the Kingdom will build a US$ 10 billion oil refinery, US$ 1 billion petrochemical complex, 2 RLNG plants of US$ 4 billion and US$ 2 billion for the mineral development sector. They say that this refinery will help Pakistan save US$ 1.2 billion annually and it will create jobs — the Chinese were also saying things like this before they pushed the country into a debt-trap. 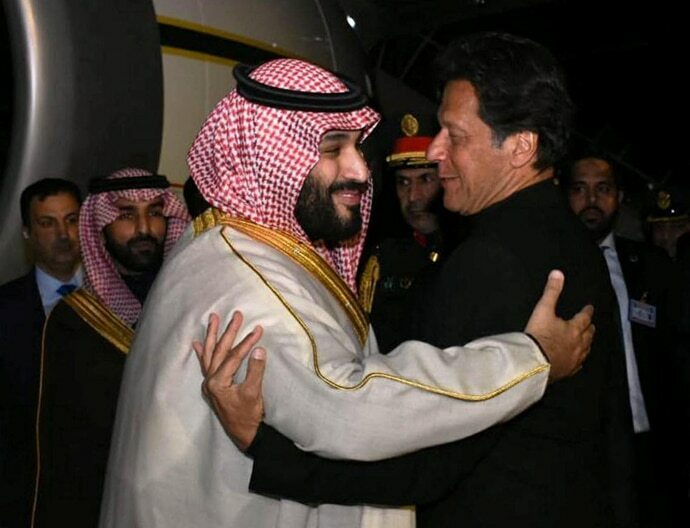 The Kingdom has already given $US 3 billion aid to Pakistan when Imran Khan visited the country the last time to ask for financial help. To help indebted economies, which are suffering from looming balance of payment crisis and severe shortages of foreign reserves, to help them pay their import bills, to stabilise their currencies, refurbish their foreign currency storages and very importantly, while doing all this, to help the suffering state to strengthen their economic growth, in 1944, at the Bretton Woods Conference, an idea fundamentally coined by two incredible economists of all times, Harry Dexter White and John Maynard Keynes, the International Monetary Fund (IMF) came into being. Its prime objective was of promoting international monetary co-operation, free international trade, high employment, exchange rate stability, sustainable economic growth, and protecting the global financial system from absorbing the brunt of economic crisis faced by a single or a group of member country — that is, to confine the impact of financial instabilities — as much as possible. 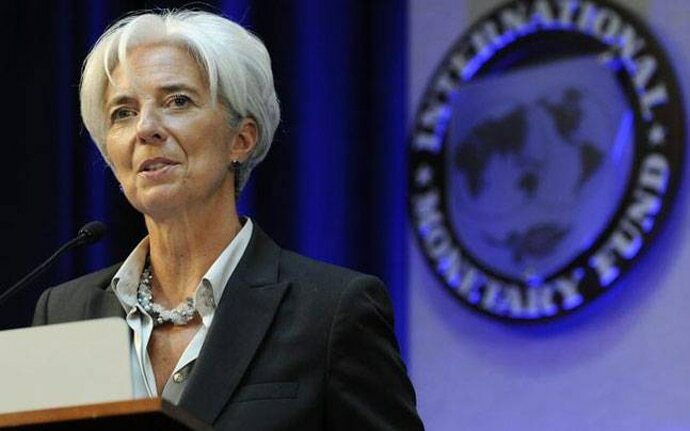 In short, for the sake of the greater good of the world, the IMF is working day in and day out. Member nation-states contribute funds to the pool through a quota system from which countries experiencing balance of payments problems can borrow money. As of 2016, the Fund has about US$ 666 billion in its reserves. In return for financial resources, the International Monetary Fund requires the member state to adopt certain micro and macroeconomic policies to overcome the problems that led it to seek financial aid from the international community. These structural reforms help the suffering state to alleviate its balance of payment crisis without opting for irresponsible measures — which may affect its own and the world’s financial and monetary system. Also, these conditionalities are meant to safeguard IMF resources by ensuring that the country’s balance of payments will be mature enough to service the loan on time and in a proper manner, so that the resources of the Fund can be used by other suffering member economies. All in all, to make sure that in its difficult economic situation, the country’s financial system prospers, grows and strengthens, the IMF demands certain changes in Pakistan's macroeconomic and structural policies which were responsible for all its sufferings. As soon as the government of Pakistan will digest these facts, they will choose to adopt the Fund’s policies and would avoid taking loans from the so-called “friendly nations”. Believe me, it is the only possible and sensible path to follow for the permanent cleanng-up of this mess. Also Read: Prince (C)harming? Does India’s ‘atithi’ Mohammed bin Salman of Saudi Arabia spell good news?